Which Dado Stacks do You Use? 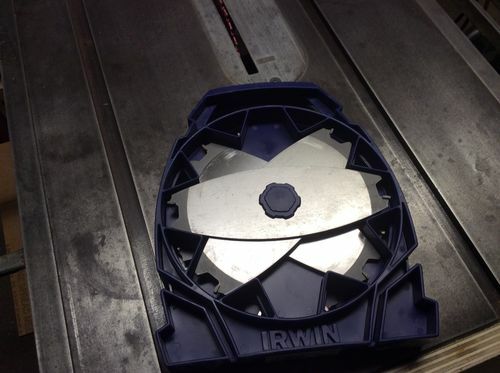 I recently purchased an Irwin Marples dado stack from a big box store for $100. I love it’s performance so far and I am very happy that I chose this one over the less expensive options. It leaves nice crisp edges when used with a zero clearance insert and the storage case is plenty sturdy. This is the first dado stack I have owned or even used, before getting this I would simply make repeated passes with a regular saw blade. Now I don’t need to chisel my dados flat anymore! Having such a good experience with the stack that I chose got me thinking about what other woodworkers might use. Which dado stacks have the rest of you found success with? What was good about it and what would you want to change? Freud 8”. Meh. It’s a dado stack. Freud Super Dado set. It’s fantastic. I got it used for $85 and spent ~$30 to get it sharpened. I saw one of those at the store after I bought my Irwin Marples, it was the same price as mine and I briefly wondered if I should return mine and get the Freud because so many folks say Freud is a good company and product. 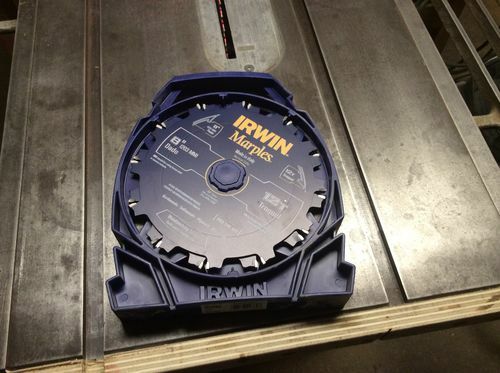 I didn’t feel like goin through the hassle though, and I do like my Irwin Marples. I do love the used market for tools, all sorts of gems out there, Jonah. THe only one I have or have tried is the Dewalt 8” set. I like it a lot. Good clean cuts and very flat bottom. The bat ears are virtually invisible. I use an 8” Oshlun stack. At the time, I bought it for $69, but the current price is about $94. At that price I’d probably look elsewhere. I have a freud 8”. I suppose there are better ones out there but it works for me. I think I bought mine at a big box store. 8” Forrest. Nice but pricey. I am in the 8” Freud camp as well. I got mine after someone returned it having opened the Box but never even mounted it on there saw. I probably would have gone with the oshlun one otherwise, it’s what I learned on and the price was right at the time. I have the Craftsman 8” dado stack. Love it as it has a 3/32” blade for those unsavory undersized plywood. I thought about getting the Dewalt stack before I purchased the Irwin, but the price was a little tough to swallow, Lowe’s had it at $123. My shop money is precious to me because I just don’t get a lot of it, lol. I use an 8” Oshlun stack. At the time, I bought it for $69, but the current price is about $94. At that price I d probably look elsewhere. I looked at the Osborn as well and would have gone with it if I hadn’t found the Irwin set in a local store. I would have had to order the Oshlun on Amazon. I needed it for a project, so I didn’t really want to wait. I would like to be able to try the pricier blade someday, but that day is probably quite a ways off. I hear great things about Forest blades. The best I’ve used is the Infinity Dadonator. The Freud 208 was good, the DeWalt/Delta 7670 was better yet, the Systimatic was really good, but the Dadonator is the cat’s meow. When the DW7670 goes on sale near $100, it’s the best value of the bunch IMO.